Ginger holds the first spot in ayurveda and unani medical era. It has regular place in our diet and it prevents us from many diseases. According to scientists, fresh ginger has 81% water, 2.5% protein, 1% fat, 2.5 fiber and 13% carbohydrates. 1. Ginger has iron, calcium, iron phosphate, iodine, chlorine, minerals and vitamins. According to research, ginger is a powerful antiviral food. Its maximum use makes your digestive system strong. 2. You can add rock salt and lemon juice in ginger and intake before your meal. It makes healthy digestive system. Gas does not occur in the stomach and bowel becomes clean. 3. Ginger can give benefits in indigestion, joint pain, vomiting, piles, diarrhea, dysentery, patches, and jaundice etc. diseases. 4. Ginger controls our cholesterol level. Blood circulation remains fine due to ginger use. Its use is not make clots in the blood. 5. If you want to make your skin nice and shiny then you can intake a piece of ginger with lukewarm water in the morning. You will have good skin as well as you look younger for long time. 6. 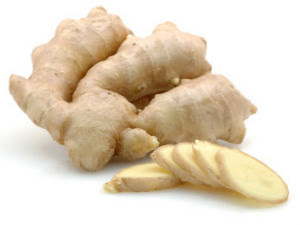 Ginger use also excludes morning sickness such as dizziness, vomiting etc. in pregnant woman. 7. If you have complained of cough with phlegm then you can drink milk with ginger at bedtime. Do this remedy for 15 days. The accumulated phlegm in the chest will come out easily.